The news that bird flu is spreading to Antarctica isn’t quite as dire as you might expect. 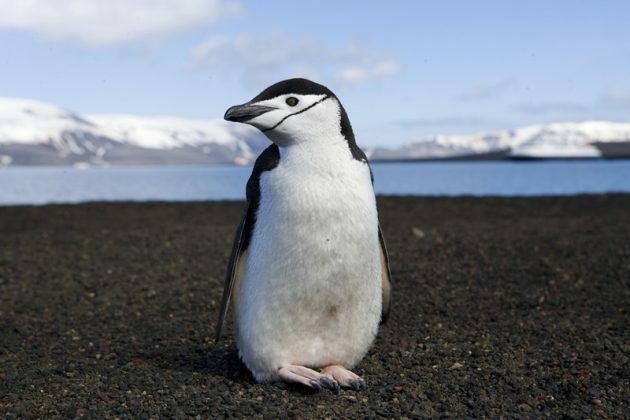 That is, the penguins—in this case, Chinstrap Penguins like the one photographed above by Christopher Michel (Wikimedia Commons), and Adélie Penguins—don’t actually seem to be getting sick from avian influenza virus (AIV). But the fact that a second strain of the virus in the past three years has shown up among Antarctic penguins is disturbing, according to scientists reporting their findings in the Journal of Virology. The introduction seems to be relatively recent, with North American and European origins. Few migratory birds travel this far south, so researchers say more study is needed into exactly how the virus got to Antarctica. Nooooo, not the cutest Penguins! Seriously, how did the virus get to Antarctica? Very worrisome. Trump or Cruz? Clinton or Sanders? NOA! Vote for me!